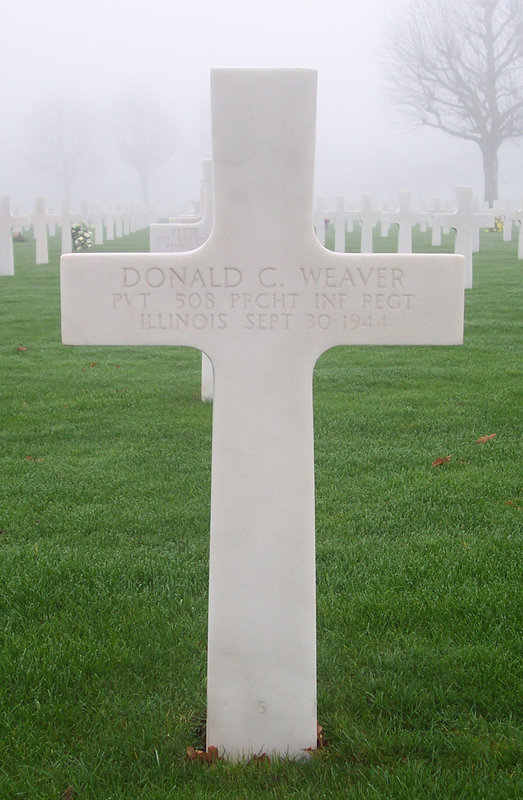 Long after World War 2 had ended, the gravesite of PVT Donald C. Weaver was adopted by Henk Bredewolt. 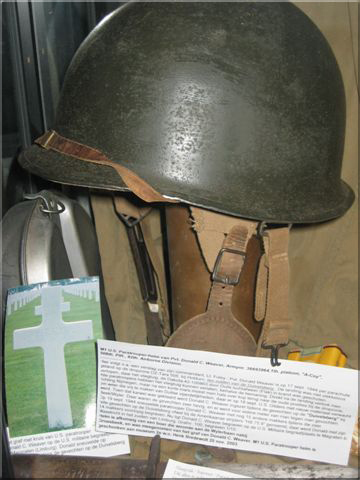 Henk´s quest to learn more about this soldier started after he obtained a M1C paratrooper helmet from a farmer who was living near Devils Hill (Hill 75.9)in the vicinity of Nijmegen (Groesbeek). 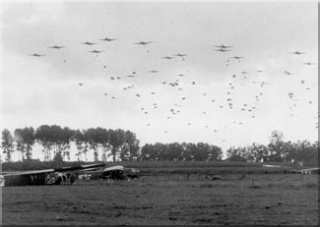 The fight for Devils Hill is one of remarkable actions of 'Able'Company of the 508th Parachute Infantry Regiment of the 82nd Airborne Division during Operation Market Garden in September 1944. Henk found out that despite the age of the helmet there was a distinctive name etched inside the visor, the name of a U.S. liberator who had fallen in the struggle for Devils Hill; Weaver C.
Eventually Henk's search led to the adoption of Donald Weaver's gravesite, but of course his quest did not end there. 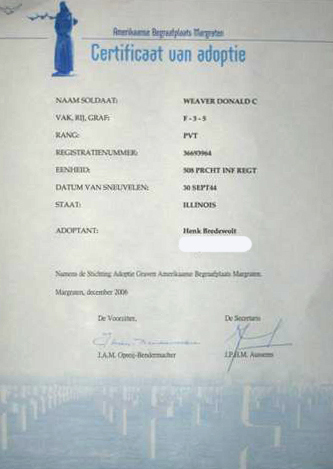 Henk is still trying to get in contact with relatives or friends of PVT Donald Weaver. 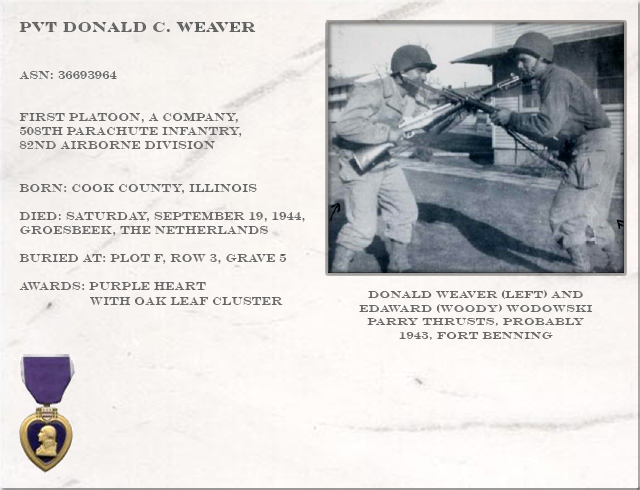 The story of PVT Donald C. Weaver as told by James 'Blue' Ralph Garcia of A Company, 508th. PIR., 82th. Airb. Div. 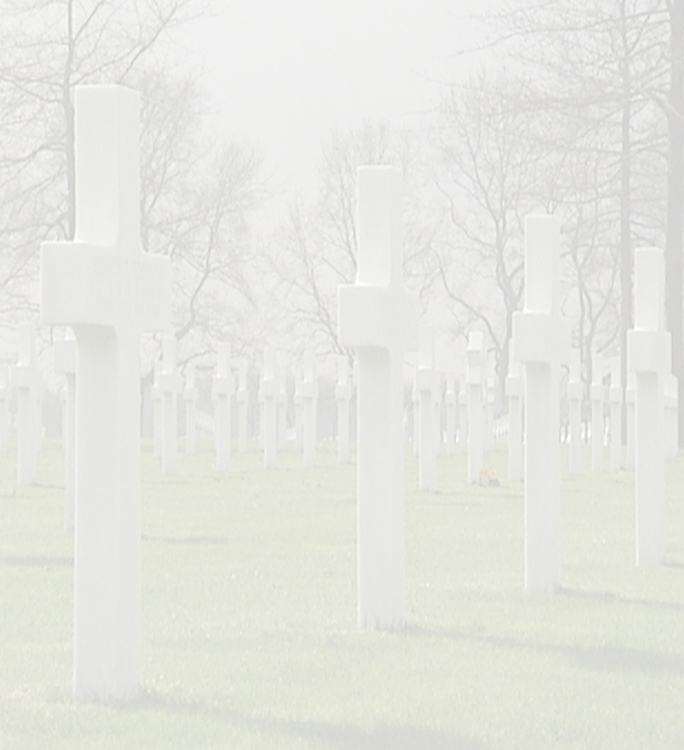 Donald C, Weaver was killed the night of September 18-19, 1944 from enemy artillery in connection with a mine laying activity in front of the A Company position. Blue was Weaver's squad leader and personally pulled Weaver's body out of his foxhole, after he (Blue) returned from a patrol to his squad's position. Blue added that Ralph Garcia was wounded that same night and may be able to tell more about the circumstances of his death. Pvt. Ralph Garcia was spoken: Tanks were expected that night at the A Company area. If I remember, Lt. Lamm's platoon was assigned the detail of laying the mines. Joe Boone, my squad leader told me years later that we (our squad) were only handing the mines to the others who were laying the mines. I remember that there was a 2-1/2 ton truck loaded with mines. Very soon the artillery was zeroing in. We were not there long before the artillery was right on top of us. I hollered out that, 'We had better get out soon or we would be in trouble if a round hit the truck!!!'. Luckily some of us were hit before the truck would be hit. I was hit soon after and I knew somebody else was hit too. Captain Adams found I had been hit and he ordered me to get on a Jeep and go to a field hospital. When I got to the Jeep somebody else was loaded in with me, I did not know who it was, I know he was wounded badly. His leg was split wide open from knee to foot and his foot was dangling from its skin. The medics put a white towel on his leg. In later years, at one of the reunions, William Bauman from A Company told me that it was a trooper named Barnett. He told me he lost his leg. Joe Boone tells me that somebody else had been killed by the same round. From documents it was deducted who was killed: A Company men Wounded in Action (WIA) and Killed in Action (KIA) during the Holland campaign. Mr. Ralph Garcia, A Company, 508th PIR, 82nd Airborne Division.